Undoubtedly, football is the only sport capable of galvanising the whole nation. It is, therefore, ironic that there is so much apathy among Singaporeans towards the S-League. Under certain circumstances, Singaporeans are also apathetic towards their national team. A recent Straits Times online survey shows that the S-League is the second-least favourite league for Singaporeans, while the Malaysian Super League, which the LionsXII play in, is the most unpopular. Only 3 out of 3,046 respondents (or just under 0.1 per cent of Singaporeans) like the S-League best. This reflects the fact that there are always more empty seats than spectators at S-League matches. An old army friend of mine, who used to watch Malaysia Cup matches during the 1990s, recently asked me whether the S-League still existed. I initially thought he was being facetious, but he was actually asking an honest question. I believe he is one of many Singaporeans who are clueless about the S-League. With an apathetic public, corporations naturally see diminishing value in the S-League. Many clubs no longer have a main sponsor, one that commits enough money to have its company name appear on the team jersey. This dismal state of affairs is a far cry from how it used to be during the league’s initial years, when every club had a main sponsor. During the first half of the inaugural season, S-League matches played at the National Stadium usually attracted more than 10,000 fans. In September 2009, before leaving to play in the Indonesian Super League, former national captain Noh Alam Shah publicly slammed the S-League for what he saw as worsening crowd support and a declining quality of foreign players. He said he had lost all motivation to play in the S-League because he felt horrible playing in sparsely-filled stadiums. He called on the FAS to improve its league marketing and player salaries. Instead of responding to Alam Shah in a constructive manner by examining how the FAS could improve its marketing efforts to develop the S-League’s fan base and commercial aspects, FAS President Zainudin Nordin told him to back up his claims. After Alam Shah left for Indonesia, crowd figures continued to worsen and plummeted to a historic low last year, with an average attendance of only 932. When Singapore played Jordan in an Asian Cup qualifier in 2009, only 6,188 fans attended the match at the National Stadium even though there was no live telecast by the state broadcaster. Almost five years later, the situation has still not improved. For last month’s Asian Cup qualifier against Syria, the Lions could not even attract enough fans to fill half the seats at the much-smaller Jalan Besar Stadium. Only 3,012 fans showed up. What a paradox! Apathy towards their national team runs so deep among football-mad Singaporeans. Perhaps Singaporeans are just fair-weather Lions fans. The Singapore Sports Council might have had this in mind when it decided not to increase the capacity of the new National Stadium beyond the original 55,000. The vast majority of Singaporeans, seemingly, are only interested in attending matches in which Singapore is perceived to have a realistic chance of winning a championship or, at least, have a good chance of qualifying for a championship final. For instance, nearly 50,000 fans turned up at the National Stadium to support the Lions against Vietnam in the second-leg semi-final of the Asean Championship in December 2008, while capacity crowds saw the first-leg final against Thailand in January 2007 and the second-leg final against Indonesia in January 2005. The FAS needs to tap on the popularity of the biennial Asean Championship and turn to fresh, creative marketing to reduce fan apathy and increase corporate support. After securing a seventh-best finish at the 1984 Asian Cup finals, Singapore has yet to scale such dizzying heights of continental football again. Almost 18 seasons of professional S-League football have passed, but the Lions are still usually out of their depth in continental challenges and only able to compete against regional neighbours in Asean. While thes 2-1 win over Syria offers a glimmer of hope for better things to come, it is nevertheless fair to say that Singapore football has been stagnant for years. In 2008, Singapore achieved a double win over Lebanon (2-0; 2-1) in the third round of World Cup qualifiers. The following year, the Lions defeated Jordan 2-1 in an Asian Cup qualifier. While the FAS struggles with improving the standard of Singapore football, it should learn from Lebanon and Jordan. After losing to the Lions, the Middle Eastern pair have come to life. In 2012, Lebanon and Jordan reached the fourth round of World Cup qualifying for the first time, something which Singapore targeted but failed to achieve. Jordan has even beaten Singapore four times since their 2009 defeat by the Lions. Jordan is also on the verge of history. If it can rise to the occasion and beat Uruguay next month, the Arab kingdom will qualify for next year’s World Cup finals in Brazil. In 2009, Warriors F.C. became the first S-League club to qualify for the Asian Champions League (ACL), Asia’s premier club competition. Despite taking the wooden spoon in their first-round group, the Warriors managed to qualify for the ACL again in 2010. Although the Warriors missed the knock-out stage, they did improve over 2009 by finishing third in their four-team group, beating a Chinese Super League team. Instead of allowing S-League clubs to improve by competing against Asia’s best, Zainudin decided to end Singapore’s ACL participation beginning 2011. He refused to revert the S-League into a competition for only Singaporean clubs, thus making the Republic ineligible for the ACL, the only competition that can truly help S-League clubs raise their standard of play. S-League clubs continue to participate in the second-tier AFC Cup, where they often play against Malaysian teams and other Asean clubs. Does Zainudin really expect S-League clubs to get to the next level by playing regional clubs? 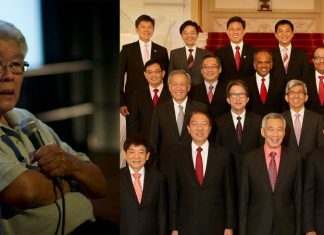 To avoid “game over”, the most important next step for the FAS towards removing all the farce, apathy and stagnation, is to hold presidential elections in the future, instead of having the Government continue to appoint MPs or ministers to fill Singapore’s top football post. There are many football-passionate, talented non-politicians who, I am sure, are capable of governing the sport. Why should Singaporeans be short-changed by having the search for a national football supremo be limited to a narrow group of individuals – politicians? Remember N Ganesan? He was the FAS Chairman during Singapore football’s brighter years (1974 to 1981). He is not a politician. Michael Y.P. Ang is semi-retired. He was a sports administrator at the Singapore Sports Council’s sports excellence division and sports journalist with Channel NewsAsia.